Enjoy the lake view from the over-sized lanai of this well maintained 3-Bedroom/2-Bath villa home. 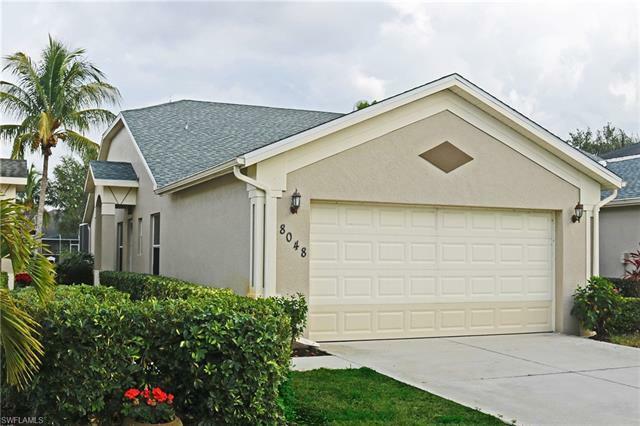 Located in the gated community of Ibis Cove, this home offers ** NEW ROOF INSTALLED - JAN 2019 ** - tiled flooring through out; a custom mirror in the great room; large eat-in kitchen; cathedral ceiling; a large two-car garage; and newer A/C unit. Amenities include a 5, 000 s.f. clubhouse with on-site manager, a huge sun deck, resort-style pool & spa, along with a fitness center, billiards, a kid's play area and lighted tennis courts. Single family, fee simple ownership with lawn care, irrigation, cable and exterior painting provided by the HOA. Perfect for both annual and seasonal residents.